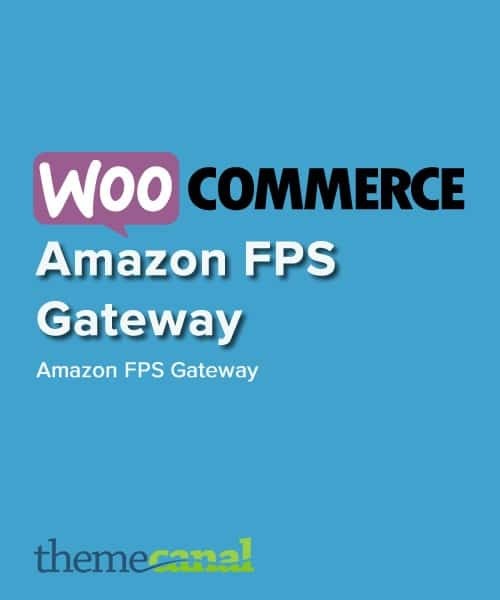 Instantly download the WooCommerce Amazon FPS Gateway extension at a large discount of just $10, with 1 year of updates. Making the payment process simple, efficient, and trustworthy is important to any WooCommerce store to maximize conversions. 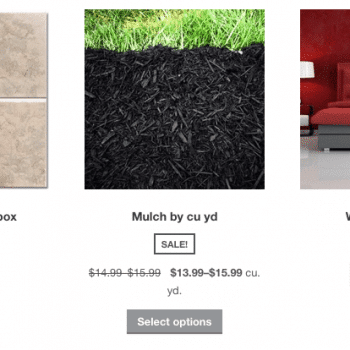 Give your customers the extraordinary convenience of paying for items purchased in your store by using their account at the number one online retailer – Amazon. In addition, you gain trust by associating with consumers’ favorite retailer. Amazon Flexible Payments Service (FPS) will allow you to accept payments via credit card, bank transfer, and even through your customers’ Amazon balance! Only Amazon FPS and Amazon Simple Pay allow you to accept customers’ Amazon balance during your checkout! Now Offering Full Support for Subscriptions and Pre-Orders! Amazon FPS is the only WooCommerce Amazon gateway that provides integration with these services! Amazon FPS is an ideal gateway for WooCommerce Subscriptions, offering support for all of Subscriptions features – subscription date changes, payment date changes, and more. The gateway also fully supportsWooCommerce Pre-Orders, so you can take customer’s payment information upfront and then automatically charge their payment method once the pre-order is released. 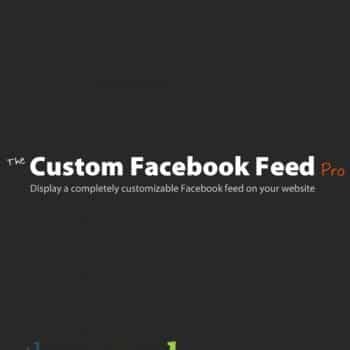 Amazon FPS is free to setup and you have no monthly fees! You only pay for the payments you take in using Amazon’s easy-to-understand volume-based pricing: 2.9% +$0.30 per transaction. 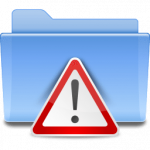 No add-ons, cancellation, or unused authorization fees. That’s simple transaction pricing. Enjoy the benefits of Amazon’s proven fraud detection. Amazon says that Amazon FPS, “…leverages Amazon’s proven fraud detection capabilities, chargeback controls, and risk management processes to reduce bad debt,” which takes pressure off of you while you’re trying to make money. Basically, you benefit from the excellent security that Amazon itself uses, and gain amazing flexibility in which types of payments you can accept! During the checkout process, customers are redirected to Amazon to approve payment for purchases before being redirected back to your store, so that Amazon handles security for you. Setting up the Amazon FPS extension couldn’t be easier. All you have to do is fill in the information from yourAmazon Web Services (AWS) account, and you’re ready to go. No PCI compliance issues, no SSL certificates — just simple, secure payment processing. 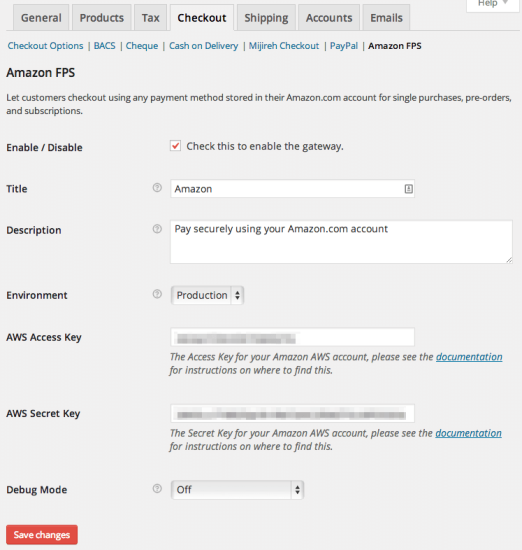 Be the first to review “WooCommerce Amazon FPS Gateway” Click here to cancel reply.